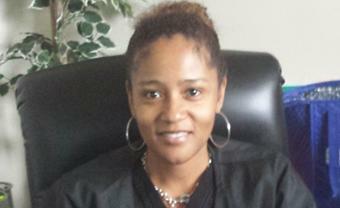 Dr. Jones has been in private practice since 2009. He is board certified in family and preventive medicine. 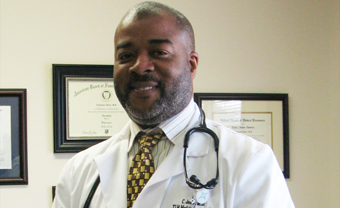 Dr. Jones received his undergraduate training at the University of Mississippi, Medical Degree from Meharry Medical College, and his residency at Henry Ford Hospital in Detroit, MI. He has spent numerous years providing health care for community health centers in MS and SC. Dr. Jones has also conducted numerous clinical trials in various therapeutic areas, i.e., Hypertension, Diabetes, COPD, OAB, CLBP, IBS-C, IBS-D, ASTHMA, and GOUT. His diverse knowledge base gives him a cutting edge with medical trends and treatments. Mrs. Jones brings a wealth of knowledge to TLM due to her diverse background training. She is the head of the Research department and the Office Manager of TLM. Prior to starting with TLM, Tracie worked as a pharmaceutical representative for several years, and prior to that as an IT consultant.